Aerial photos released by Brazil's indigenous affairs agency, FUNAI, June 22 reveal evidence of one of the world's last "uncontacted" tribes, in the Vale do Javari region of Amazonas state, near the Peruvian border. (See map.) The photos show four large communal thatched huts surrounded by crops of corn, bananas, peanuts and other subsistence foods. FUNAI director Aloysio Guapindaia said the agency, which took the photos in an overflight of the settlement, will work to keep the tribe isolated and safe from outside encroachment. 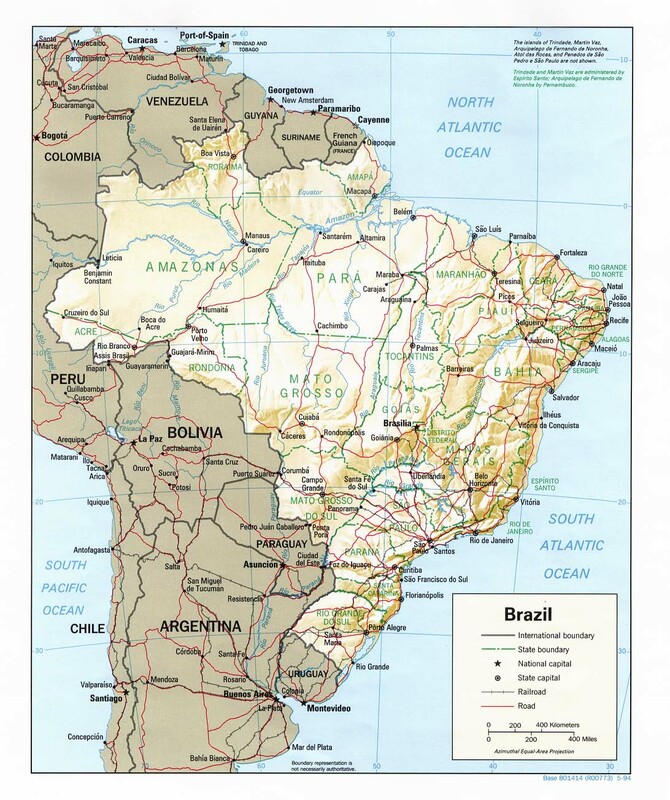 The tribe is thought to belong to the Pano linguistic group, which straddles the borders of Brazil, Peru and Bolivia. FUNAI became aware of the settlement's existence some 10 years ago through reports of peasants and timber workers in the area, who had found hunting shelters and other signs of the uncontacted tribe in the forest. Fabricio Amorim, the leader of FUNAI’s overflight expedition, warned, "Among the main threats to the well-being of these groups are illegal fishing, hunting, logging, mining, cattle ranching, missionary actions…and drug trafficking." He added that oil exploration on the Peruvian side of the border also poses a risk to thes newly found tribe. See our last post on Brazilian Amazonia.